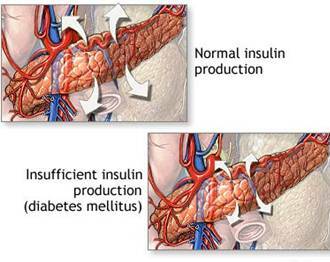 Its full name is Diabetes Mellitus, but it’s generally called diabetes. It is a medical term for a group of chronic diseases in which the body fails to complete the conversion of certain foods into energy. Normally, during digestion, the body changes sugar, starch, and other foods into a form of sugar called glucose. The blood carries this glucose to the body’s cells, where, with the help of insulin (a hormone produced in the pancreas), it changes into quick energy for immediate use or storage for future needs. This process of turning food into energy is crucial, because the body depends on energy for everything from thinking to physical activity. In diabetes, the food is turned into glucose readily enough but cannot enter the body’s cells as lack of insulin production or its effect on the cells in the body. The most common forms of diabetes are Type I and Type II. In Type I, the person’s pancreas does not produce enough insulin so the supply of glucose can be used. 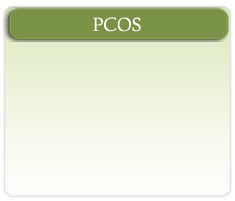 As a result, very high blood sugar and other metabolic abnormalities occur. In the absence of insulin, the metabolic abnormality is quite severe. As a result, these people are picked up quite early because of their symptoms. In Type II, the pancreas produces enough insulin, but the body’s cells can’t use it properly. This means that the unused glucose once again causes high blood sugars. There are about 18 million people with diabetes in the United States, half of them are still not diagnosed. About 90-95% of these people have Type II diabetes. Diabetes and its complications are the sixth leading cause of death in the United States, outranked by heart disease and cancer. Diabetes is a major cause of blindness in adults, and causes diabetics to suffer heart attacks twice as often as non diabetics. The life expectancy of those with some form of diabetes is one/third shorter than the general population. The most important thing is to recognize diabetes early so the treatment can be started before the disease has had a chance to damage your health. 18 million people have diabetes. 90-95% have Type II diabetes. Half the patients are not diagnosed. 40% will develop kidney disease. The cause and cures of diabetes remain a mystery. Research has long shown that both Type I and Type II diabetes tend to run in families--although having a relative with diabetes does not guarantee that you will develop it. 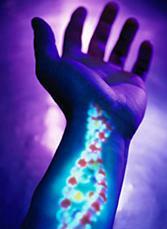 In Type I diabetes, there seems to be a ber genetic link. However, viral illnesses, such as flu or pneumonia or immunological factors, have also been implicated in Type I diabetes. In Type II diabetes, obesity seems to be the cornerstone along with a poor diet intake. Usually develops quickly and is common in children and young adults. A family tendency toward the disease seems to be a contributing factor. But more important, central obesity seems to be the main problem. Excess fat prevents insulin from working properly. 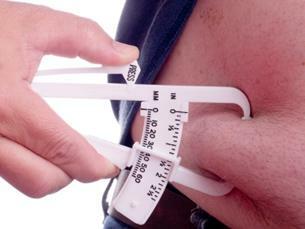 The risk of developing Type II diabetes doubles with every 20% of excess weight. Stress, smoking and a sedentary lifestyle can also be a factor in Type II diabetes. In this condition, the pancreas produces plenty of insulin. The target cells have only a few receptors. Without enough receptors, not all glucose can be used. As a result, blood sugar rises and causes all the symptoms of diabetes. However, in the vast majority of patients with Type II diabetes, the symptoms are very mild. As a result, the complications of diabetes can slowly progress and patients may not realize this unless one is consciously aware of the symptoms. As a result, it has been called the "silent killer." 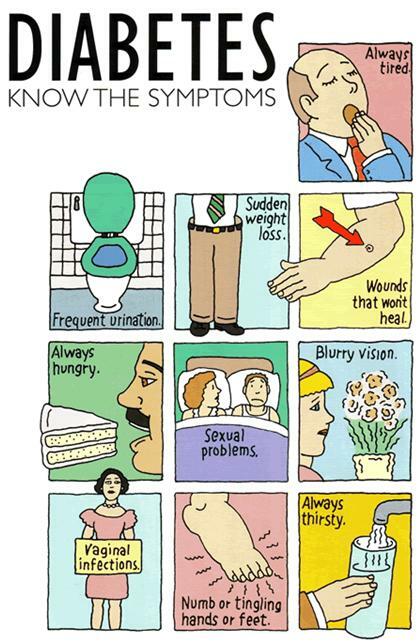 What causes TYPE I DIABETES? This is also called "juvenile diabetes" because it was thought to affect only children and young adults, but now it’s known to affect all ages. It appears suddenly and progresses rapidly. As a result, it is more likely to be picked up earlier because of symptoms mentioned above. But diabetes will reduce the life expectancy by one third when compared to older healthy people. About 35-40% of the American population suffers from obesity. This is rapidly growing. 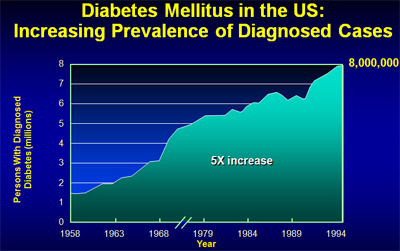 As a result, the incidents of Type II diabetes are also progressively going up. About 90-95% of diabetics are Type II and its incidence progressively goes up with age. It is also much more common in Blacks, Hispanics, and Native Americans. As obesity progresses hand-in-hand with an excessive caloric intake, insulin resistance develops leading to very high levels of insulin called "insulin resistant state" or the "Terrible Quartet." This condition is associated with diabetes, hypertension (high blood pressure), hyperlipidemia (abnormal lipids [cholesterol]) and obesity. All of these four conditions are present to different degrees in people with marked obesity and Type II diabetes. This predisposes them to increased incidents of kidney failure, blindness, heart attack, strokes, and atherovascular disease (narrowing of the blood vessels) leading to compromised circulation and amputation. Forty percent of the people ending up on the dialysis program are diabetics and their number is rapidly increasing in the western world. Type I diabetes is treated by diet and exercise and close monitoring of the blood sugars along with insulin therapy. Newer and better forms of insulin and close blood sugar monitoring at home along with good dietary therapy. With a combination of short and long acting insulin used two to four times a day, good diabetes control can be achieved if one has the will and the desire to do so and take charge of their life and prevent complications of diabetes. Diet is very important in all forms of diabetes and in particular Type II diabetes. This will help with the weight loss as well as the other co-components of the "Terrible Quartet." In general, 55-60% carbohydrate, 30% or less from fat and the remainder from protein. Exercise is very important in all forms of diabetes but Type II diabetes in particular. Thirty minutes of brisk walking about five to seven times a week would have a tremendous impact on Type II diabetes. However, one needs to start with shorter periods of time and gradually increase this duration to 30 minutes. It is always advisable to get your physician’s input before you start an exercise program. There has been a tremendous amount of research gone on in the management of Type II diabetes and there is new hope. Diet and exercise, of course, are very important as mentioned earlier. As far as medical therapy is concerned, Sulfonylureas have stood the test of time and has been the main medication for treatment of Type II diabetes. We have seen over the years three generations of Sulfonylureas and the third generation of Sulfonylureas are much better than their first generation. They still play an important part in the medical management of Type II diabetes. In the last two to three years, several new classes of drugs have come out in the market in the United States and certainly made the management of Type II diabetes a lot easier. This drug has been available in Europe and Canada for at least 18 to 20 years. It has been approved by the FDA in the United States for the last two years. This medication utilizes the insulin in the body at the Insulin receptor site, as a result facilitating glucose from entering the cell and decreasing the level of insulin the body. This class of drug also came out about two years ago and has certainly contributed a lot to the management of diabetes. It decreases the carbohydrate absorption in the small intestines. As a result, decreases the blood sugar after a meal and is a new addition to the management of Type II diabetes. In some patients who will continue to take a lot of carbohydrates and have very high blood sugars after meals, this is an excellent adjunct therapy to control diabetes. We at the Diabetic and Hypertensive Nephropathy Treatment and Research Center are keenly interested in all the four elements of the "insulin resistant state," i.e., obesity, diabetes, hypertension and abnormal lipids. We feel that a holistic approach to the management of obesity or diabetes or hypertension is very important because they are interconnected. Treatment of one alone will not benefit the patient as a whole.